WPEngine is a leading managed WordPress hosting service provider based in Austin, TX. They were one of the first companies to offer WordPress centric managed hosting solutions. IsItWP users can enjoy a great deal — 30% discount on your first three months with a WPEngine hosting subscription. WPEngine is one of the first hosting companies to provide WordPress centric managed hosting solutions. As a pioneer in the managed WordPress hosting industry, they boast an impressive customer list including Yelp, Asana, National Geographic, PBS, and MyFitnessPal. They are considered the leading managed WordPress hosting company in the market with their unique features and cutting edge WordPress specific technologies. Using WP Engine is like having an army of WordPress experts on your side when you need help. They have partnered with Amazon Web Services and Google Cloud platform to offer your sites the highest availability, speed, scalability, and security around the clock irrespective of where your visitors are in the world. Their one-click staging tool enables you to test new plugins and updates before pushing the changes to your live site. Overall, they offer a truly superior WordPress hosting experience. Regular price $35 / mo. but our users pay $20.42 / mo! 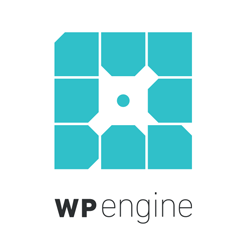 Get started with WPEngine now! Despite being a managed WordPress hosting solution, WPEngine offers shared hosting plans for small and medium sized businesses. You can find 3 different shared hosting plans that are structured based on the amount of traffic and number of sites you can handle. It’s expensive than a traditional shared hosting provider because it gives you a wide variety of WordPress specific suites to deliver enterprise level experience to your visitors. Quickly set up dev, stage and production environments with one-click tools. Global CDN for faster load times, real-time performance diagnostics and WordPress specific in-built security to give you a peace of mind. Automated SSL certificate installation and renewals. Several enterprise-level tools as addons such as GeoIP service to personalize content based on geographical location, content performance insights powered by Google Analytics and multi-site ready platform to operate multiple sites with a single login. WPEngine offers dedicated server hosting for those users who attract millions of monthly visitors. With a dedicated server from WPEngine, you can host about 25 websites and add additional sites for $20 per month per site. WPEngine offers 2 dedicated hosting plans, Premium and Enterprise. You’ll need to get in touch with the sales team to get a custom quote for your dedicated server hosting. Resources: In both dedicated hosting plans, you get a storage space of 100 GB–1 TB. Bandwidth per month is 400 GB to 5000GB+. All shared hosting features: You get all shared hosting features including global CDN, one-click tools for setting up dev, stage and production environments, automated SSL certificates and more. SSH gateway: Command line tools like WP-CLI is available in all dedicated hosting plans. Consultative onboarding: For your first 30 days, you get assistance from a dedicated technical success manager. Free GeoIP service: Personalize your content based on your visitors’ geographical location. Free performance Analytics: Access WordPress optimized Google Analytics data right within your WordPress admin panel. 24/7 support: Get 24/7 support via phone, live chat and ticket based email. WPEngine is more of an enterprise-level WordPress platform than just a traditional hosting company. Their platform makes it easy to publish content and help you provide a great visitor experience on your site. Here are a few features that set WPEngine apart from its competition. Managed WordPress hosting: You don’t have to take care any technicalities of maintaining any tedious system administration tasks. You can focus on your business and rest will be handled by WPEngine. Agility: You get one-click tools to simplify staging, testing, and deployment. You can also personalize your visitors’ experience based on where your visitors are located geographically. Performance: WPEngine has partnered with Amazon Web Services and Google Cloud Platform to deliver blazing fast load times. You’re also allowed to choose your preferred data center when subscribing to a hosting plan. Intelligence: Get actionable insights powered by Google Analytics right within your WordPress admin on the performance of your content, page and, application. Integration: Grow your business by easily integrating your favorite marketing application into your WordPress site. As a managed WordPress hosting provider, they deliver enterprise-level WordPress performance for your site. To test the site performance for our WPEngine review, we’ve created a test WordPress site using the default Twenty Seventeen theme and dummy content for theme development, including images. This way our test site looked and behaved like an actual average WordPress site. After setting up our test site, we first ran the speed test using Pingdom. According to Pingdom’s website speed test, our test site loads less than a second in New York. That’s faster than 96% of all tested sites. Apart from Pingdom, we also used a testing tool called Load Impact to figure out how WPEngine handles visitors during a traffic surge. Load Impact sent some virtual users (VUs) to our site and gradually built up to 100 visitors at a time to test how the server handles it. In the chart, you can find a blue line (VUs active) which shows the number of virtual users sent to our WPEngine site and a green line (VU load time) which represents how much time it took to load a web page for a user. WPEngine performed consistently throughout the test. The number of live visitors on the site doesn’t have an impact on the performance. The content of your site can have an impact on your page loading time. For instance, if your site contains too many images, it will take more time to load. In fact, images account for most of the downloadable bytes in a typical site. Bitcatcha works differently than Pingdom. From the result, you can see that WP Engine server response time remained under less than half a second for all geographic locations. It was particularly great in the United States. Best of all, WPEngine allows you to choose a data center when you subscribe to a plan. Be sure to choose the nearest data center where your target audience is mostly located, which can improve your server response time. WPEngine offers 24/7, US-based live chat for technical support to all customers. In addition to 24/7 live chat, phone support is available 24/7 to customers with Growth, Scale, Premium and Enterprise plans. They have discontinued ticket based support for non-enterprise users in an effort to focus more on providing personal and direct support through live chat. WPEngine comes with the right set of features for their target market, like SMBs, agencies, developers and enterprises. Since it’s a managed WordPress solution, you get all the set of features right within your WordPress dashboard. 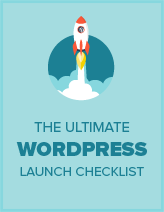 Their extensive documentation guides you through every aspect of operating a WordPress site on their platform. When choosing a dedicated hosting plan, you’ll also get consultative onboarding with a dedicated technical success manager for your first 30 days. WPEngine is not cheap. Their managed hosting service emphasizes on performance it delivers and the pricing is based on the amount of traffic you attract to your site. The pricing is structured for less versatility as well. To make it even better, they’re offering our users an exclusive discount if you use our WPEngine coupon code. Shared - Startup 10GB 50GB $20.42 / mo. Shared - Growth 20GB 200GB $67.08 / mo. Shared - Scale 30GB 400GB $169.17 / mo. Having helped thousands of users choose a web hosting plan and start their website, we have answered just about every question you can think of. Here are some of the most frequently asked questions about WPEngine. How do I know if WPEngine is a good fit for me? WPEngine is a managed WordPress hosting solution. While it gives you a peace of mind by handling all technicalities of optimizing your server for improved performance, the reality is that it might not be the right solution for everyone. The platform is primarily targeted at a few customer segments, like SMBs, agencies, developers, enterprises and marketers. WPEngine is a good fit for you in the following cases. Ease of management: You get a fine-tuned hosting setup that’s built specifically to operate WordPress sites. This way you can focus on what’s important for your business without handling any tedious system administration tasks. Speed: No need to install any plugins for boosting your site speed such as CDN or caching plugins. If you’re on a managed WordPress hosting environment, blazing fast site speed is assured. In-built security: Managed WordPress hosting companies provide bulletproof security without having you to manage complex WordPress security plugins. They also come with automatic WordPress core updates to ensure you’re using latest version so that it protects your site from known vulnerabilities. Developer friendly environment: You need developer friendly features like SSH access, WP-CLI, Composer, Sequel Pro and Git. You also need one-click staging environment tool that makes it easy to build sites before pushing them to production. Superior Support: You can also count on highly trained, qualified support professionals who know the ins and outs of your WordPress site and server. 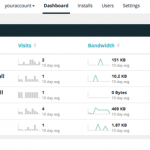 How WPEngine differs from other WordPress hosting options? As WordPress is the most popular website builder platform, a lot of hosting providers offer WordPress hosting that emphasizes on the convenience of building a WordPress site. With such hosting options, you don’t have to go through an additional step of installing WordPress because they come pre-installed with WordPress. 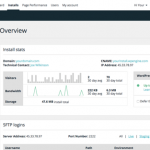 WPEngine goes beyond a managed WordPress hosting solution and provides a lot of different set of tools to help you succeed in your business, like one-click staging tool, WordPress content analytics and more. Rather than convenience, it emphasizes primarily on performance it delivers. Aside from choosing a hosting plan, you don’t have to do anything else for improving your site’s performance. In fact, WPEngine restricts you from install caching, CDN and security plugins on your site because they’re handled by themselves. This way you can focus on what matters to your business without managing system administration tasks. Why should I choose WPEngine when I can handle the same amount of traffic and get more storage space for a comparatively lower price from other providers? While other hosting providers handle the same amount of traffic for a cheaper plan, the benefit of WPEngine is that it delivers blazing fast website speed for all your visitors while giving you a peace of mind. You’re not required to spend your resources on optimizing your server’s performance. Best of all, you also get many enhanced features to provide breakthrough WordPress experience. With WP Engine, you are paying for performance and the tools they give you to succeed in your business– not for storage. If you need a hosting server for media storage, you might want to choose another hosting service instead. What plugins are restricted on the WPEngine platform? WPEngine doesn’t allow you to use certain plugins that have been shown to clash with their hosting solution. The banned plugins fall into a few different categories. Other compromised plugins that may contain potentially vulnerable codes. Which WPEngine plan should I get? Choosing a WPEngine plan is easy. You can choose a plan based on the amount of traffic you’re expecting. When you’re just starting out, you can choose the Startup plan. As you grow, you can upgrade to a higher plan based on your needs. Where are WPEngine servers located? When you sign up for a hosting plan on WP Engine, you’ll be allowed to choose a data center location. Can I upgrade my WPEngine plan later? 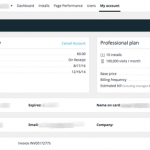 Does WPEngine offer a month-to-month payment option? Yes! But keep in mind that annual plan provides the best value. You get 2 months free on an annual plan. Wondering how WPEngine stacks up against other web hosting companies? See our side-by-side comparison to see for yourself. WPEngine is targeted at specific customer segments, like developers, marketers, SMBs, agencies, and enterprise and delivers all the right set of features to help those segments expand markets quickly and effortlessly. For example, for developers, they make it easy to focus only on development & design without dealing with hosting maintenance. Marketers can build and personalize their website using the built-in tools without having to focus on maintenance. WPEngine invests a lot of resources on training, hiring, and managing a great support team, so you can count on them when in need. If you want a managed WordPress hosting solution that also makes it easy to build, publish and personalize your site, WPEngine is the best choice for you. I just stumbled across this review I gave for WPE back in 2012. I can’t remember posting it here but have to say, 5 years on and still feel the same way about WPE – Great speed, service and support across all my sites. As a developer and manager of my company’s custom wordpress site, I can’t say enough good things about WP Engine’s chat support. I’ve needed help with technical questions and troubleshooting several times since taking over the site and the chat tech support specialists are always excellent. I get really clear answers in a very timely manner and they often think of things I haven’t even thought of yet. All of my experiences at WP Engine have been great! I often recommend them to others as a fantastic service with superior customer support. But I have found 1 that is smaller, US based, and their technical people are on top of everything, immediately….We use vps and most of our clients eventually transfer to them. MD Hosting…truly their support is in a class of their own. Privately owned and very competetive pricing. We have been on their hosting for over 2 years…its what hosting should be. Easily the best host I’ve ever used! Its worth it just for access to their support team. They’re all WP experts – and not just with regards to WP Engine. I’ve had support team members help me fix issues with my theme, plugins etc. They’ve probably saved me thousands in outsourced developers! “some plugins not allowed” That’s something that wouldn’t have occurred to me; do you know which plug-ins? is there a list somewhere to find out what they currently are? I have been working for our client and for the last one and half years also being a part of WP engine. WP engine sounds really awesome for me. 24/7 support, Daily Backups, Best Restore points, Free SSL Certificate, Inbuilt Security Checkups and etc etc etc. In all the way, i will suggest WP Engine to anyone who prefer to host WP sites. I’ve had a wonderful relationship with them so far and find no reason to complain yet. I have actually recommended it to several people. Interesting. I have never had an issues like that with them. Out of curiosity, which hosting would you recommend? WP Engine is exceptional. We operate an online news website and we have been with many service providers on both VPS and Dedicated hosting environments. For a site that generates over 20k visitors per day, WP Engine has never failed us in any area. Exceptional staff treat you like you are family. Not too easy to get approved affiliate account and may be better wp hosting. Pretty much fees for hosting. The team at WP Engine is exceptionally responsive. We switched from VPS.net because expert support, in WordPress, was and IS a top priority. Five stars, no doubt! I have to say that ‘DAMN’ your support and customer service is good! No, really! I don’t know if you guy’s are spoiling me or that every other hosting service that I have used in 15 years were BAD! The difference so far has been like chalk and cheese. Any serious WordPress site needs four things: security, speed, scalability, and service. Usually you can find a company that gives you one or two of these. Occasionally three, almost never four. WP Engine excels at all four. They are not just a hosting company, they are your partners in success. I’m always raving about them and give them my absolute best recommendation. On a scale of one to ten, I give them an eleven! My site was under attack from a Distributed Denial of Service attack on my old shared host. I was getting 1.5 million requests per hour that took my site down and 20 other sites who were also hosting on the same server. It took the old host three days to identify the problem, and even then offered no real solution. I switched to WP Engine and within hours the DDOS was dealt with *and* my website was loading about four times faster. I definitely recommend WP Engine! The WP Engine support has been excellent. I now see the difference between paying $5 or $10 per month for hosting vs a group that charges $29+ but specializes in WordPress and delivers fast, reliable support. Well worth my investment. WP Engine is not only a good hosting provider but has also a great and fast support! We had an expensive server that we had to maintain because we needed plugins and scalability. WP Engine let us leave that box, keep our plugins and still scale. WP Engine support rocks. Ultimately, you get what you pay for. I know first hand their support rocks, they’ve have tolerated me all this time. I self-hosted WordPress for years until I started experiencing crashes every time a post made it to the first page of Hacker News. I switched to WP Engine right before speaking at a major event. Not only did my blog survive the traffic spike, but I’ve doubled the number of subscribers since then and haven’t experienced a single outage yet. It’s nice to pay someone to handle all the hosting BS that we’re no good at. They’re WordPress Pros. Reg. Price $35 - Save 30% Off! All WPEngine plans include a money-back guarantee.